Looking back on 2018 Stephany and I experienced some amazing cultural and culinary adventures. Our first trip of the year was to Austin, TX, where Stephany had a work-related trip, so I tagged along for the tail-end of the trip because I knew this would be my opportunity to try the world famous barbecue from a little known place (JK) called Franklin’s Barbecue. I arrived at 5:00am to find 30 people were already tailgating in front of the restaurant with coffee, breakfast, and some good old conversation. I waited over seven hours until I finally sat down with my behemoth of a BBQ tray and it was worth every minute. However, on this trip I also went to La Barbecue and I must say it was just as good as Franklin’s, but Franklin’s was an experience. I would be remiss to not mention the other fantastic restaurants we ate in Austin, TX that’s not BBQ. We had dinner at Salty Sow one night, and it was absolutely amazing (for Chris since there were little options for Stephany’s taste)! Definitely need to try the triple fried duck fat fries, with a fired duck egg on top and béarnaise sauce for dipping. Another day we had brunch at Odd Duck, which is a trendy farm to table restaurant with creative dishes and a relaxed atmosphere. Our next trip was to Japan! If you have not been to Japan, please put it on the top of your list and make sure it’s next on the list. We cannot express to you how awesome the food was in Japan. Needless to say I had my fair share of ramen on the trip (ate ramen at least once a day, just because) and it has now set the standard for what ramen should be anywhere, period. In Tokyo, one of the best culinary experiences I’ve ever had was waking up at 4am to go to Tsukiji Market to have sushi at 5:30AM in Sushi Daiwa. Yes, having sushi that early in the morning is a thing (probably more for the tourists), we waited 45 minutes in line to get into that little 8 seater sushi bar, and it was PHENOMENAL! Every bite of sushi tasted incredible. The precision of the sushi chef’s cuts along with the freshness of the fish is an experience that words cannot explain, you must experience. In Kyoto we had the fortune of eating at Jiki Miyazawa, which is headed by a Michelin Star chef Takamoto Izumi. This culinary experience has to be our favorite ever. We both left with our foodie hearts in the clouds. We were treated to a ten course meal that stimulated our tastebuds in a way a painting evokes emotions in one’s soul. Wow! That’s deep, I know, but it was that good. It’s all we’re trying to tell you. We visited Napa for the second time and had amazing food and wine, while taking in some great Fall weather air and scenic views. The must go restaurant in Napa is without a doubt Mustards Grill, but make sure to have reservations or prepare to wait. It’s kind of hard to have bad wine in Napa, but some go-to places are Frog’s Leap, Duckhorn, Jarvis, and Frank Family vineyards to name a few that we love. Why are we sharing these little snippets of trips we took in 2018? When we set out to create Fared Pair, we wanted to share our love for food and wine with everyone and anyone who loves to enjoy these life’s pleasures as much as we do. However, we created this site in 2014 and haven’t done a good job of posting much new content or sharing our culinary adventures with the world since. We apologize! So starting in 2019 we are committing to posting new content on a daily basis on our Instagram account @faredpair and on this site on a weekly basis. Chris will be sharing his love of cooking and simple recipes on this site and social media for you to recreate and enjoy with friends and family. Get ready for a delicious 2019… We’re hungry! I know, I know… It’s hard sometimes to get excited about chicken. I also know that there is a great big myth that your chicken should be lean and void of any of the skin and you should only eat the breast. This is a big misconception. In actuality, the chicken skin and fat actually provides plenty of necessary nutrients and energy to our bodies, not to mention a delicious flavor that is like no other. Don’t get me wrong, there is nothing like biting into a perfectly grilled grass-fed steak but a close second is a perfectly roasted chicken. This recipe is extremely easy to follow and we highly recommend you eat this chicken with your hands, because the finger-licking at the end is like the applause a pianist receives after a flawless concerto. I decided to stick with the fowl theme on this week’s post, so tagging along with the roasted chicken are some crispy duck fat fries. 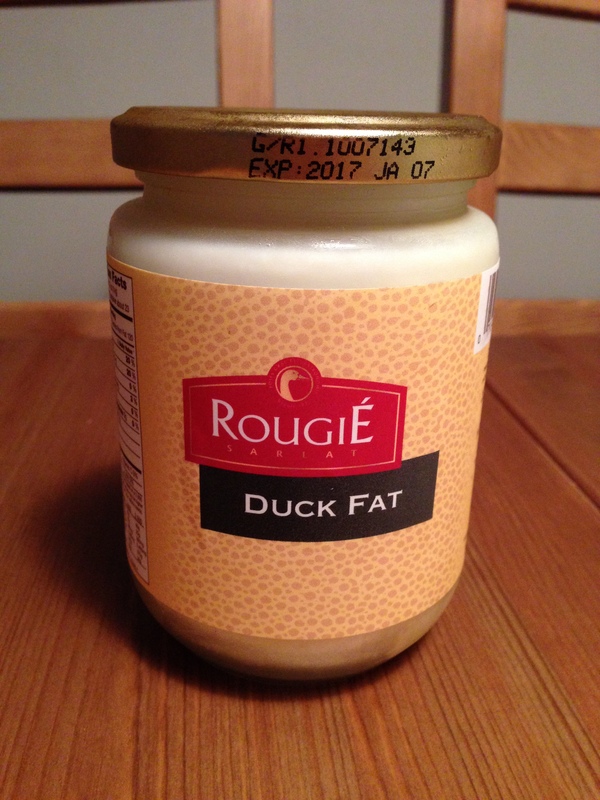 You’ll most likely have to order your duck fat online, or you may be able to find it in a gourmet market (i.e.Norman Brothers, Gardeners Market, Fresh Market, and Whole Foods) in your area. I haven’t seen it myself in any grocery stores, but then again I haven’t ever really looked for it. 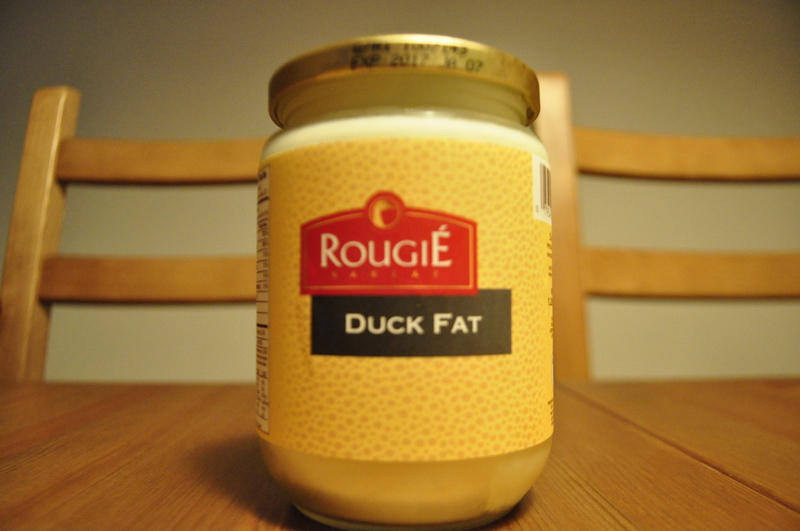 I ordered mine from (http://www.olivenation.com/Rougie-Duck-Fat-P4389.aspx) and it came out to $20 including shipping via UPS 2-3 day delivery… Duck fat is not as “unhealthy” as most assume or think it is. It is actually a very healthy and delicious fat you can use for frying and/or searing, as it has a higher tolerance for heat and hotter smoking point. However, that being said, we are not going beyond 375˚ Farenheidt, while frying our potatoes. If you absolutely can’t wait for the duck fat to come in the mail, then you can always make the fries with coconut oil ( at 350˚ temperature) or avocado oil (375˚ temperature). We highly recommend you wait for the duck fat to arrive in the mail or find it in your local gourmet market… Alright, that’s enough chatting. Let’s cook!!! Start off by preheating your oven to 400˚. 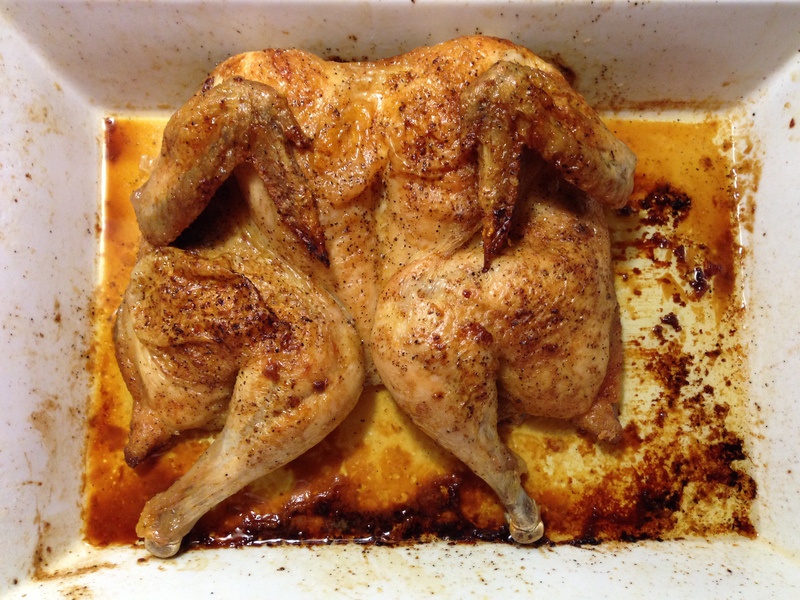 While the oven is heating, prep your chicken by splitting the chicken in half. You’ll want to start by cutting the remainder of the neck off by making a diagonal cut starting at the base of the neck on both sides. In essence, making a “V” with the cuts. Once you’ve removed the neck, use a kitchen knife to evenly cut the remainder of the chicken in half, forcing the breast bone to break and split in two. Take a deep roasting pan and lay the chicken flat on its carcass with the skin facing up. You are ready to season. You want to start off by pouring the olive oil on the chicken and evenly coating the chicken with your hands. 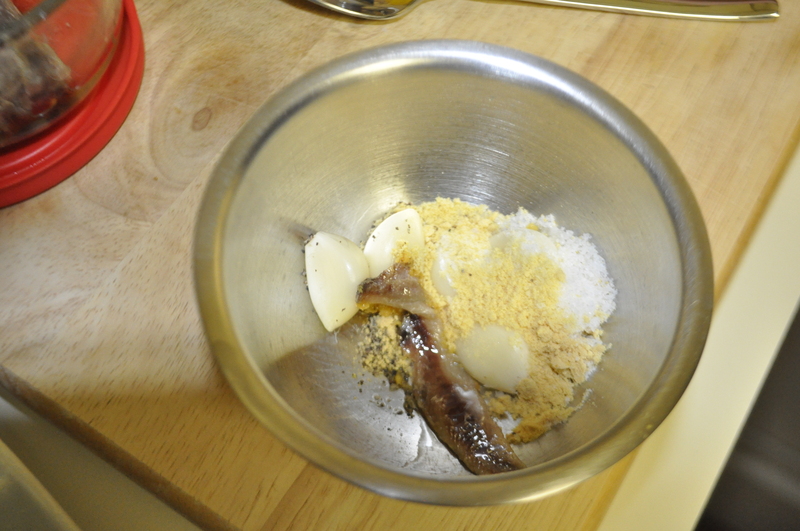 Then proceed to sprinkle the chicken with salt, pepper, and garlic powder mixture. Make sure to evenly season the chicken on all sides. Cover the roasting pan with aluminum foil and place in the oven for 35 minutes. Once the 35 minutes has passed, carefully take the roasting pan out of the oven and place on the stovetop, where you can work with it. Make sure to keep the oven on! Carefully remove the foil from the roasting pan and discard. Carefully tilt the roasting pan to one side to allow all the chicken fat/stock to accumulate to one side. Grab a large serving spoon and begin to baste the chicken. Pour over the juices from the bottom of the pan all over the chicken several times and place back in the oven for 20 minutes. Once the 20 minutes has lapsed, you will repeat the process again of basting. This is SUPER important to giving the chicken its awesome flavor. After the second basting, your chicken should be nice and brown on the top. Depending on the size of your chicken, you may need to baste a third time and place in the oven for another 20 minutes. Once the chicken reads and internal temperature of 165˚ you are ready to dig in… But make sure to let it cool down a little first. Roughly peel the potatoes or if you prefer to keep the skin on, make sure to scrub them thoroughly to remove any dirt. 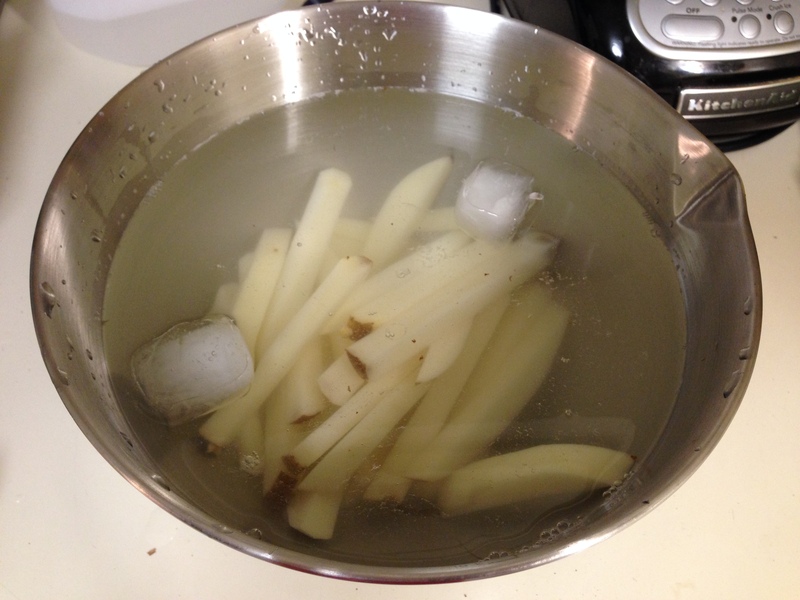 Slice the potatoes into 1/2 inch sticks and place into a large bowl of ice cold water. By placing the potatoes in water, you will remove the majority of the starch. Allow the potatoes to soak in water for at least 30 minutes. 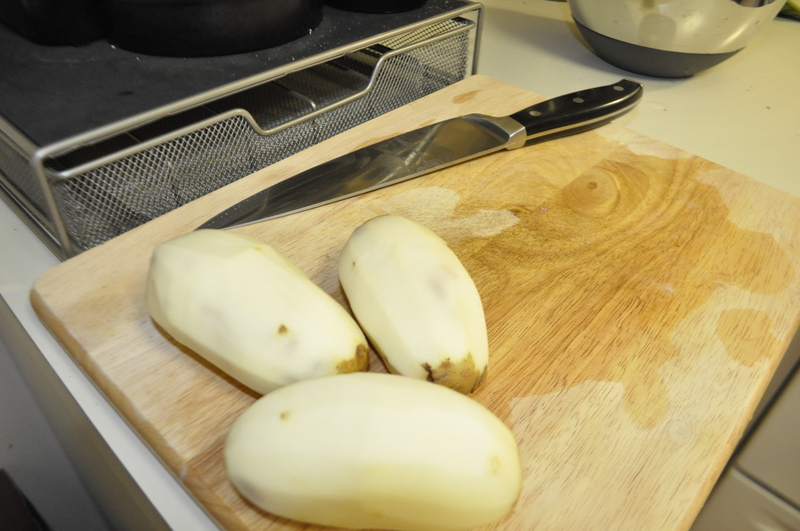 After 30 minutes remove potatoes from water and spread out over paper towels to dry. Heat duck fat in a deep sauce pan on medium-high heat or wherever you need to set your stove to be at a 350˚ temperature. Once the fat is heated at the appropriate temperature you are ready to FRY! 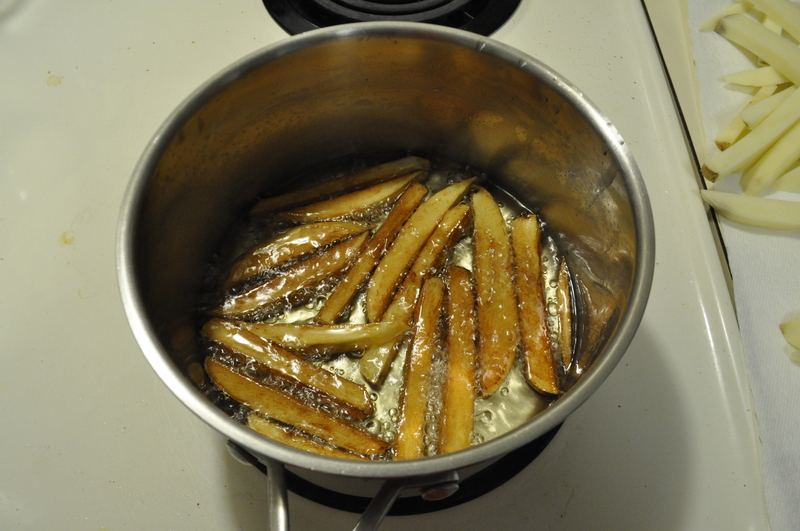 Begin to carefully place the fries into the duck fat. Don’t put too many potatoes in the saucepan as you want the potatoes to be covered by the duck fat. You will be making this in batches, which works out since the chicken will be in the oven throughout this process. Allow the potatoes to fry for 9 minutes. 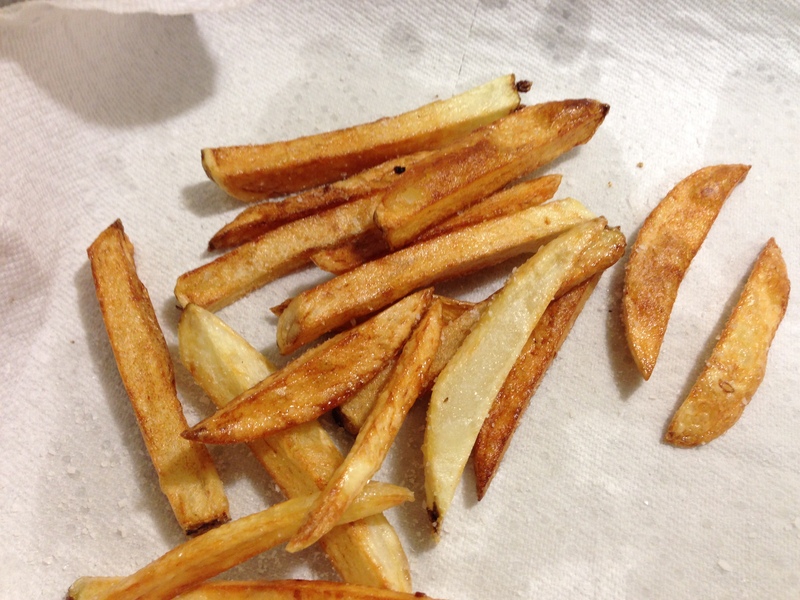 Remove fries from sauce pan with a deep fryer spoon or a slotted spoon and place on a baking sheet lined with paper towel and season with salt to taste. Repeat the process. 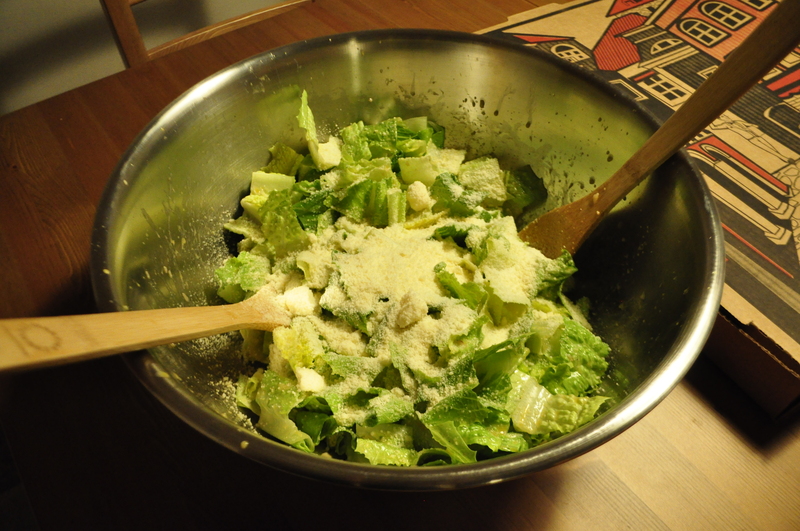 I recommend you open a nice bottle of French Bordeaux or Pinot Noir or whatever beverage you prefer to accompany this simple yet delicious meal… Buon apetito! Hi all, this blog was created by us (Chris and Steph) to support food lovers with home recipes, food advice, and life’s simple pleasures. Chris is a third generation chef and the chef de cuisine at home. He grew up learning to cook at an early age in his grandparents Italian restaurant in Miami and also under his fathers tutelage at home. We work full time jobs with pretty busy schedules, but in the midst of it, we believe in living a healthy lifestyle by working out and eating good. Chris is a meat lover, whose mouth waters at the very thought of a juicy steak, while I am a pescatarian- a vegetarian, who eats fish and seafood. I guess opposites do attract? We both follow a primal/paleo style diet which consists of various animal proteins, fruits, vegetables, nuts, and some legumes. We look forward to sharing with you our scrumptious meals. They are healthy, but we will never compromise taste. 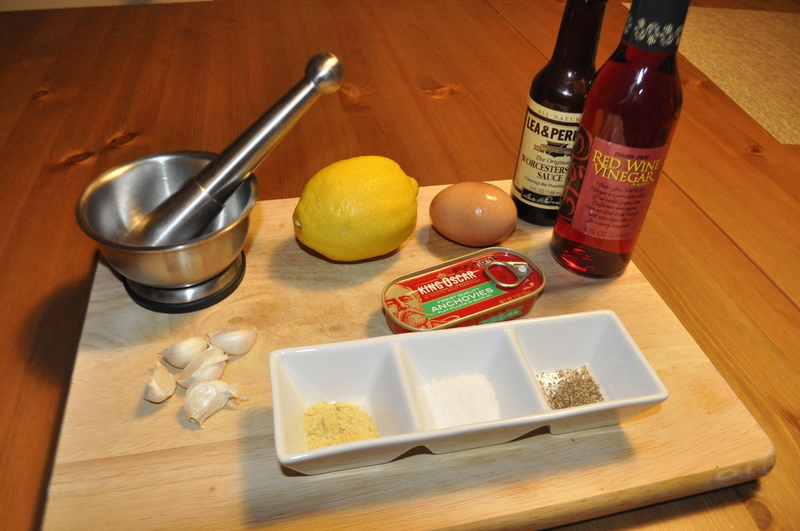 We hope you enjoy the recipe ideas and our take on different foods and ingredients.